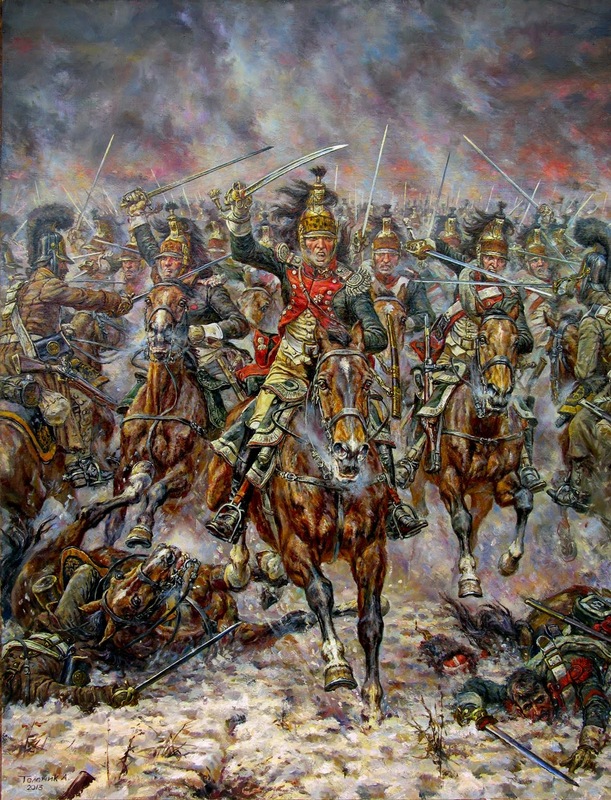 today we have the anniversary of the battle of Eylau AD 1807, one of the bloodiest battles of the Napoleonic Wars - article at Wikipedia. 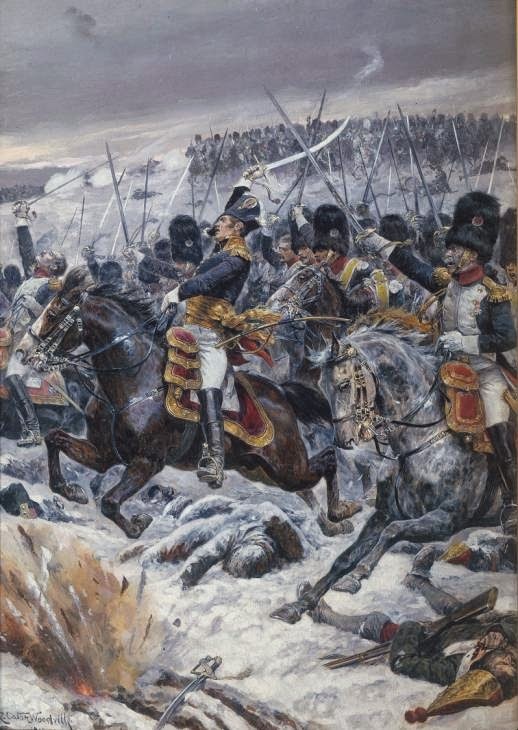 This two-day battle, without a clear winner, is famous for the huge charge of the French cavalry. 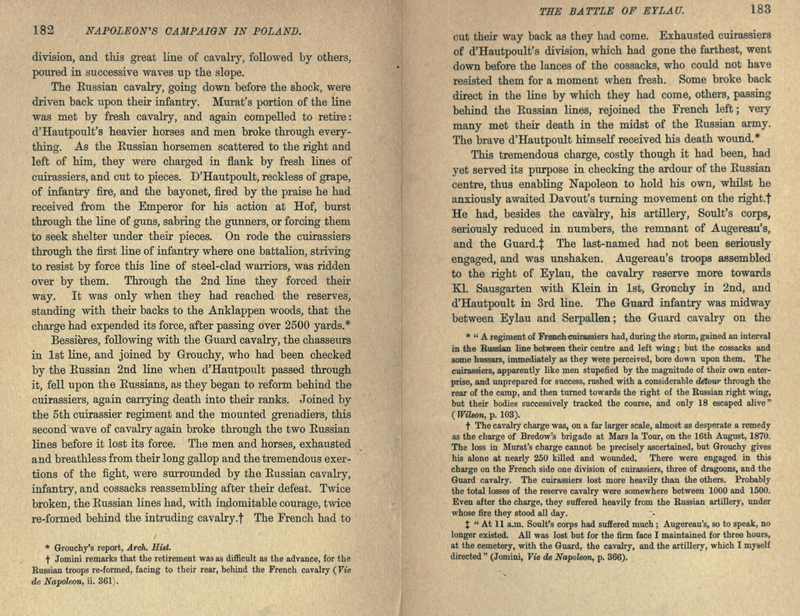 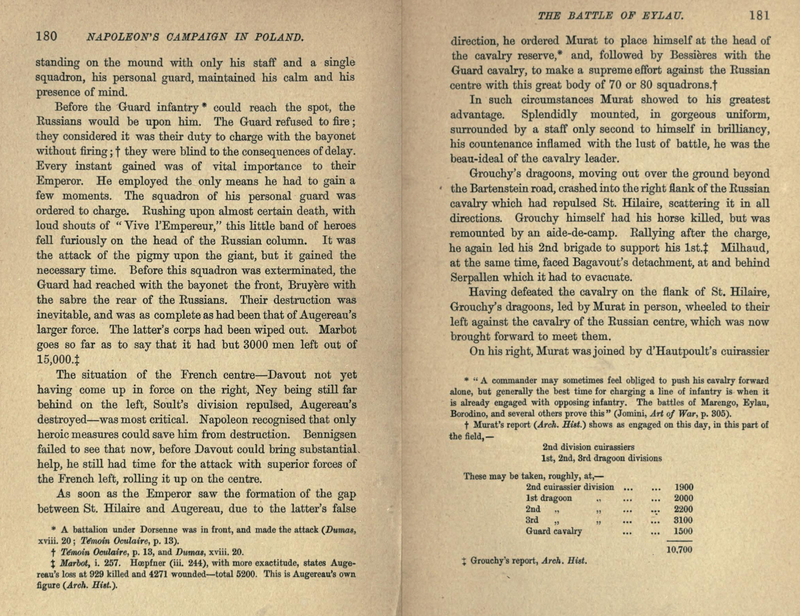 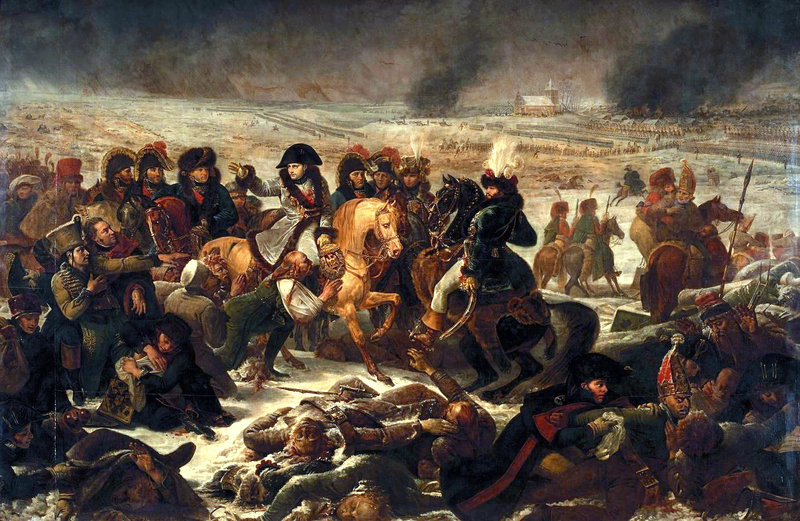 However, it saw a large number of most unhappy blunders and loss of life, due to the cold and a frightful blizzard, so as a result of the terrain and climate conditions the struggle at Pruessisch Eylau or Bagrationovsk saw an appalling carnage of French and Russian infantry (much less on the Prussian side), acts of heroism and bravery, and numerous charges of cavalry on both sides, especially during the second day of the engagement, obviously resulting in a tremendous loss of horses. 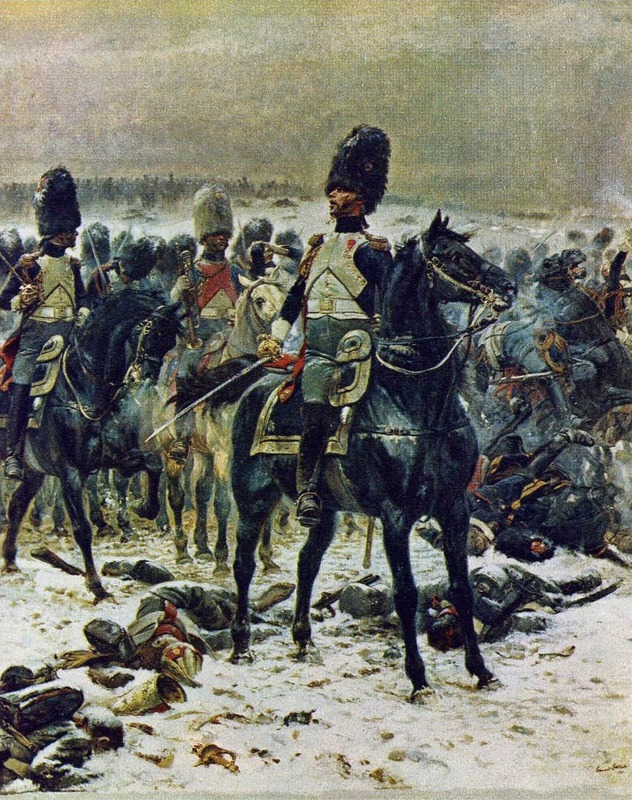 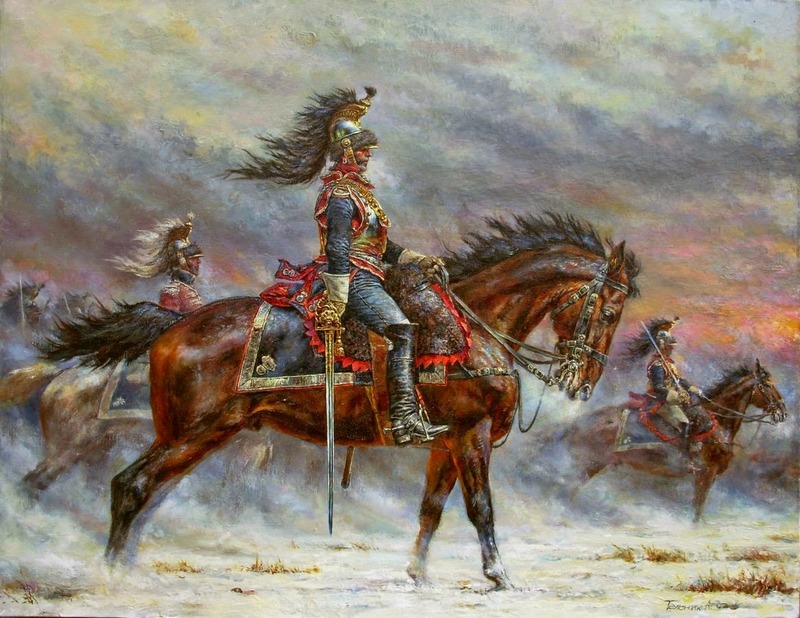 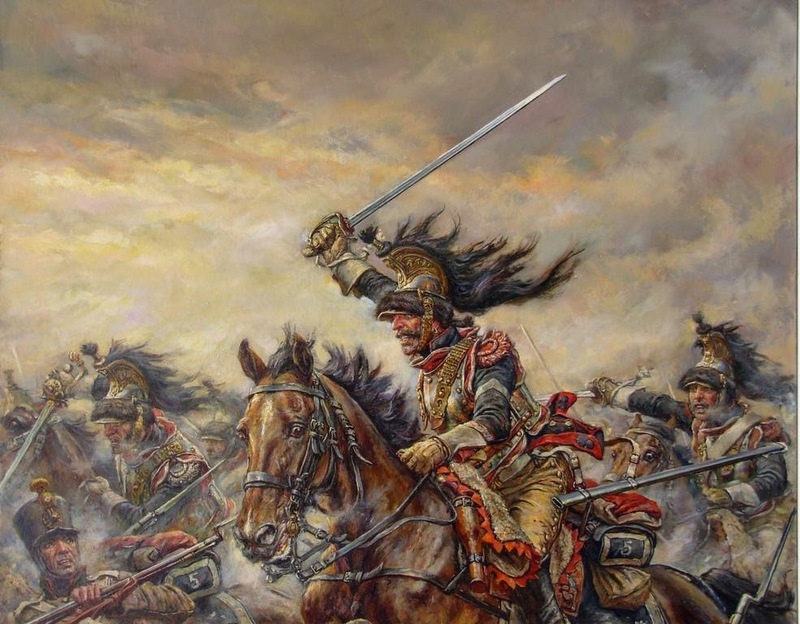 During this battle 7 French eagles or regimental battle standards were captured by the Russians.